In a world where quality is all too often set aside for quantity Holdsworth remains true to its roots, it still stands for craftsmanship, hand-built quality and timeless elegance as it did over 80 years ago when Sandy Holdsworth made his very first steel frame. 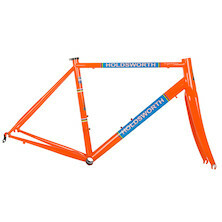 Of course, time hasn't stood still for Holdsworth, time honoured frame building techniques are married to the latest materials technology to create frames of remarkable performance and lasting beauty. Holdsworth is renowned for using Reynolds tubing and that's a tradition that we still honour today with a range of hand brazed frames featuring decorative lugwork and Reynolds 531 tubing. UK-based master frame builder Mark Reilly has been licenced by Reynolds to hand make a strictly limited edition of 100 'Super Professional' 753 tubed bikes; 50 will be reserved for made to measure buyers who want a bespoke bike build and 50 will be available as off the peg builds. 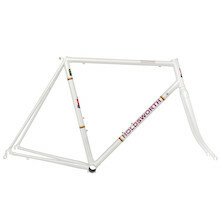 Holdsworth also offers discerning cyclists the choice of having their bike made from Spirit SL tubing, from celebrated Italian frame tube manufacturer Columbus. These hand-built TIG welded 'Competition' frames sit alongside our Reynolds frames offering younger and more adventurous cyclists a thoroughly modern frame choice. We take the stewardship of this legendary British brand very seriously indeed; only the most deserving new cycling products and those classic designs that have stood the test of time will get to wear the Holdsworth logo. A limited range of Holdsworth clothing is already available including bib shorts, cycling caps, modern cycling jerseys and retro-inspired team tops. 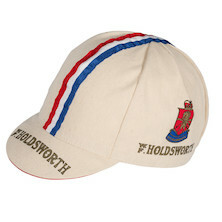 A range of Holdsworth Heritage clothing is due for release shortly. The first items in this range are a series of retro-inspired, 100% Australian Merino lambswool cycling knitwear. Holdsworth still stands for the same values of craftsmanship, hand-built quality and timeless elegance as it did 80 years ago. If you share these values with us why not become part of the growing Holdsworth family.